Compare Clicksend to DirectSMS based on the two SMS providers features, prices, customer service, reliability and other key factors. A full review of Clicksend, DirectSMS or the general bulk SMS provider can also be provided as the below table is just a summary. Compare the Bulk SMS providers below. Clicksend pricing can be as low as $0.055 per SMS for large volumes text message delivery. Other costs include $19 per month for a dedicated number and $320 for a dedicated short-code. There are no setup fees for dedicated numbers. Inbound text messages with ClickSend are free as is the setup for a dedicated number. MMS outbound messages cost $0.39 each. DirectSMS starts at $0.06 per SMS and can be as high as $0.08 per SMS. A dedicated inbound number costs between $25 to $45 a month depending on the plan you choose. Clicksend offers 24/7 help, sales and support. This is available via national and local numbers as well as Skype. There is also the option of live chat which can be suitable when using an SMS gateway online and requiring quick assistance. DirectSMS has phone support or e-mail support only during 8:00am to 6:00pm during weekdays. The lack of hours can be an issue for those who work longer hours or during the weekend. This makes Clicksend more suitable for all businesses. Clicksend as 250 reviews on Trust Pilot with an average of 9.2 out of 10. This in part is due to there Up-time guarantee which is in there service level agreement. This ensure a rebate is provided if a score lower than 100% is achieved for a month with <95% up-time leading to a full refund for the month. DirectSMS also has a strong review score of 9.1 out of 10 but from only 36 reviews. They also have a Up-time guarantee but it’s low in detail as well as there Up-time statistics. Overall, across these three areas Clicksend had the strongest offering which is why they are the recommended provider in this Clicksend vs DirectSMS comparison. Two of the major players in the Australian SMS business world are ClickSend and DirectSMS. Both these SMS providers offer a wide range of bulk text messaging services that meets business needs whether it is for promotional or marketing requirements or for reminders or urgent matters that need to be notified to your customers, stakeholders or to staff. 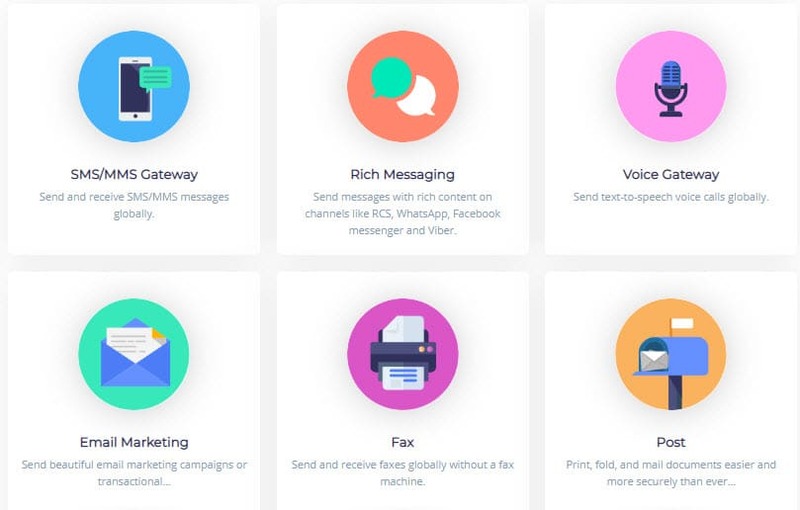 Both reputable companies provide a range of online text messaging features which will ensure that information is promptly and effectively sent to end users via any web-enabled computer system without the business requiring any special software to be installed. Both of their services have a 100% money back guarantee. Both these companies are well established and been operational for a long period with directSMS established in 2001 and ClickSend in 2006. They are privately owned and operated with directSMS head office in Melbourne, Australia and ClickSend in Perth, Australia. 100% money-back guaranteed uptime, performance and customer satisfaction. Both directSMS and ClickSend provide a seamless integration with any email software. This means that these text messaging companies can save, store and manage the business contacts which leads to ensuring that when a request is made to distribute SMS to end users, it can be carried out within a short period of time. The differences between these two SMS providers is that directSMS provides the option of a two-way MS product unlike ClickSend and the availability of premium telecommunication carriers that provide huge reliability is not mentioned in directSMS website but is part of ClickSend distribution carrier system. There is also no mention of global distribution option for directSMS unlike ClickSend who offer businesses global coverage. Regarding charges outlined by both ClickSend and directSMS, the latter company does not disclose its charges and costs to businesses. ClickSend is open and transparent about all its charges. For example, if the businesses wish to distribute 250,000 plus SMS per month, the pricing schedule is 4.9 cents for each text message. directSMS does not disclose their charge. Similarly, ClickSend presents charges for 100,000 plus SMS of 5.5 cents per SMS and 100,000 plus SMS of 6.0 cents while no disclosure again by directSMS. The only disclosure on pricing presented by directSMS is for low volume of SMS distributed per month of 7.4 cents per SMS. ClickSend is far cheaper at 6.5 cents per SMS. Both SMS providers have no set up fees and no monthly fees. Inbound SMS are free from ClickSend but is an optional extra for DirectSMS. With the need for a dedicated number, ClickSend charges $19 per month and DirectSMS does have this service available and would need to request details from the company. Both SMS companies do state that they have a money back guarantee. In summation, ClickSend is much more open about its charges. Both directSMS and ClickSend have a sophisticated, feature rich Application Programming Interface (API) that makes it easy for developers to integrate SMS into their applications and systems. Through the review of both these providers regarding uptime reliability, both companies offered only ClickSend provided a 100% money-back guaranteed uptime, performance and customer satisfaction. They both offer have SLA guarantee. These two SMS providers offer the same, reliable and compliant services. With respect to customer care, ClickSend provides a 1 800-contact number which is available on a 24/7 basis while directSMS has a 1 300 number during business hours, although it does state in their website a 24-hour service is available, but it may be a charge. They can be also contacted by email and have a range of other communication methods from social media avenues to blogging. The offer of a free trial basis is also available. In the case of ClickSend it offers 50 free SMS while directSMS offers 15 free SMS. Both companies display a range of clients that they either served or have served. The range can be viewed on their website. Reviews indicate that ClickSend has an 8,3 based on 22 reviews while directSMS has 9.1 based on 36 reviews. These SMS Comparison sites are prepared and provided to you at no cost. The concept began some 4 years ago when the authors, who had worked extensively in the SMS area, realized that companies required some assistance in selecting a SMS provider that suited their needs and requirements. Therefore, the authors provide you with an independent assessment of the features and value of several reputable SMS providers in Australia. Should there be an anomaly of information on the site, the authors would appreciate you letting them know so that changes can be made if required.